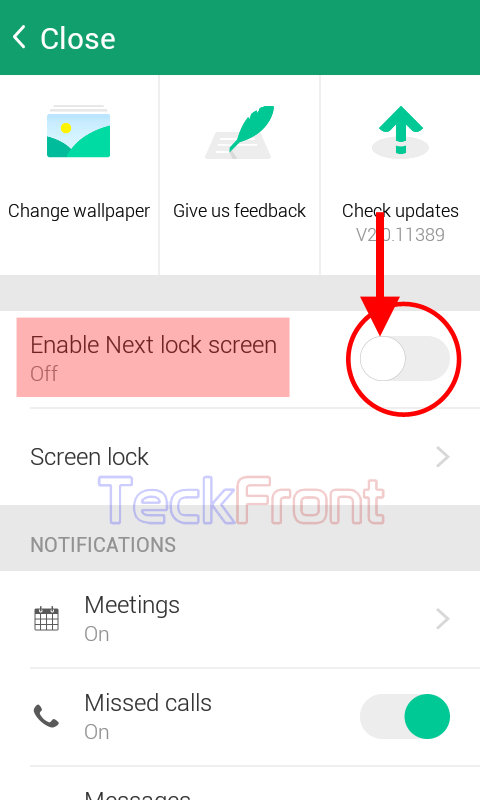 How to Activate/Enable Microsoft Next Lock Screen for Your Android? You may activate or enable the Microsoft Next Lock Screen, easily. If you want some extra convenience, you may activate or deactivate the Microsoft Next Screen, by just switching on or off the switch. It is easy but if you need help, do see the instructions. 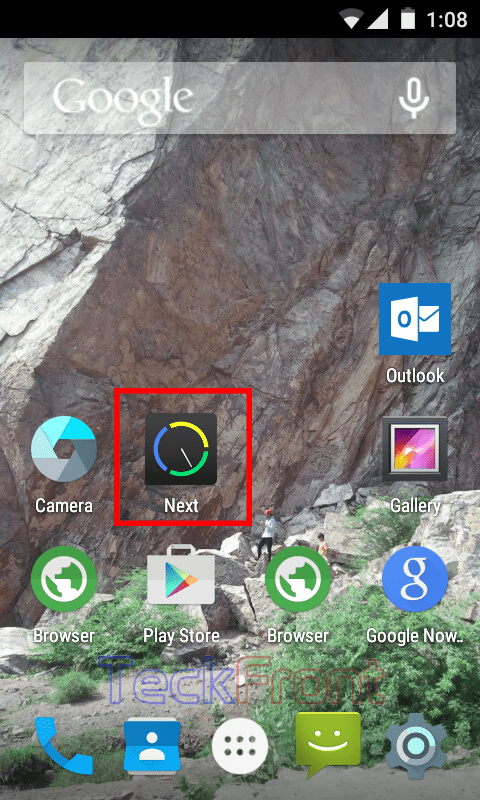 1: Tap the icon of the ‘Microsoft Next Lock Screen’ on the Home screen of your Android device to open up the settings screen of ‘Next Lock Screen’. 2: At the settings screen, see the status of ‘Enable Next lock screen’ is ‘Off’ and the color of the switch is also Grey, indicating the ‘Off’ status. 3: Tap the switch of the ‘Enable Next lock screen’ and drag it to the right to switch it on. Its color will change to Green, indicating that the ‘Next Lock Screen’ is activated and enabled. Similarly, you may tap deactivate or disable the ‘Next Lock Screen’ as well. 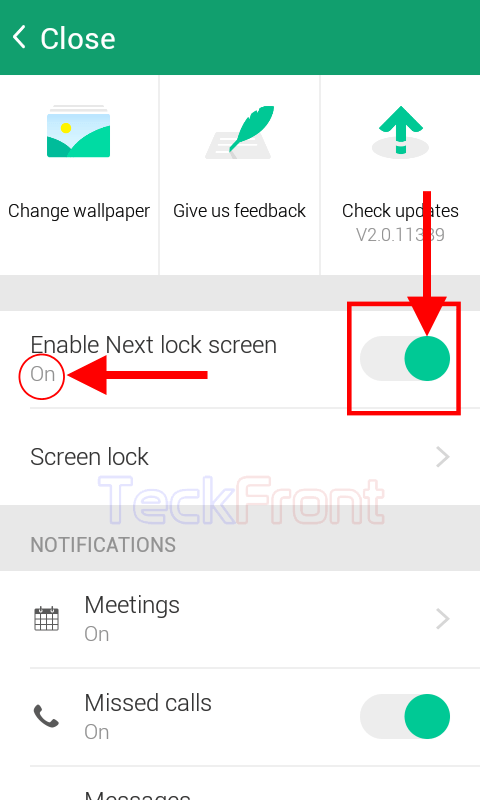 Newer How to Set Pattern Lock on Microsoft Next Lock Screen for Android? Older How to Change Wallpapers in Microsoft Next Lock Screen for Android?